Edward Marcus, M.D. was born in New York City, and grew up on Long Island. He earned his undergraduate degree from Cornell University in Ithaca, NY, where he graduated with honors in 2004. He then moved to New York, where he attended medical school at the Carl Icahn School of Medicine at Mount Sinai Hospital, where he earned his M.D. degree. Dr. Marcus completed ophthalmology residency training at Rutgers University â New Jersey Medical School. He then received fellowship training in vitreo-retinal surgery at the Kresge Eye Institute of Wayne State University in Detroit, MI. 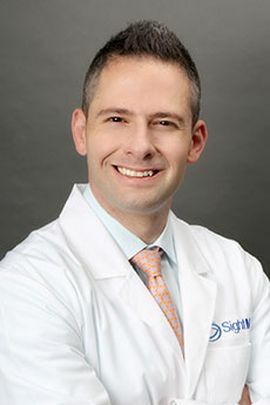 Dr. Marcus specializes in medical and surgical management of retinal diseases, including diabetic retinopathy, macular degeneration, and retinal detachment. He also specializes in treating inflammatory and infectious eye diseases.